It can happen to anybody. You pull up into your garage one evening, step out of your car, and reach for the light switch, only to discover that your overhead garage light has burned out. Even the tidiest of garages can be a bit creepy at night, and nobody wants to feel like they are trapped in a scene from a scary movie. Or, perhaps you are working on a project in your garage, but the dim fluorescent or incandescent lighting in your space is making completing the task difficult. 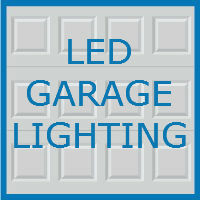 If you are sick of dealing with lighting issues in your garage, consider switching to LED lighting. LED (light-emitting diodes) is one of today’s fastest growing lighting technologies, and also one of the most energy efficient options you can choose to install. LED lights are simple to use, will brighten any space, and have a much longer life span than other lighting options. LED is a highly energy efficient technology, and many believe that widespread LED use in America could radically change the amount of energy consumed each year. Most residential LEDs are significantly more energy efficient compared to other options. In fact, products labeled with an ENERGY STAR rating use at least 75 percent less energy than typical light bulbs. For homeowners, switching to LED lights can mean savings on their energy bills. Most users report a drop in their monthly energy bill when they made the switch to LED lighting. On average, one traditional incandescent light bulb costs $4.80 per year to operate. Fluorescent bulbs tend to cost around $1.20 per year, but by far the cheapest option is LED, with each LED light typically costing only $1.00 per year. LED lighting lasts far longer than any other option, and in fact, many LED light fixtures come with the bulbs preinstalled. Your standard light bulb lasts for an average of 1,000 hours of usage, while fluorescent bulbs tend to last about 10,000 hours. LEDs typically last about 25,000 hours. LEDs are extremely beneficial for hard-to-reach places and outdoor lighting, where replacing bulbs can be even more of a struggle. For most households, the garage is used for a variety of purposes. If you use your garage as a work station, LED lighting options will better lighten up your space. LEDs put out even, consistent light that has a far reach and helps eliminate shadows. While LEDs may be small (they are typically about the size of a flake of pepper), they are much better at illuminating spaces when compared to other options. Additionally, many homeowners have complained that CFL bulbs (fluorescent bulbs) take too long to reach their full brightness. LED lighting, on the other hand, starts up instantly and is immediately at full brightness. When compared side by side, LED bulbs were found to still be significantly brighter than fluorescent bulbs, even after the fluorescent bulbs had been given time to reach maximum brightness. LED users have also reported that the light that LED bulbs gives off is warmer than other lighting options, and looks more aesthetically pleasing. LED lighting can be used in a variety of ways, both inside and outside of your home and garage. LED bulbs are extremely bright, making them a great choice for exterior lighting. LED panel lights are also available, which are great for illuminating work spaces and can hang from your ceiling and light up your entire space. 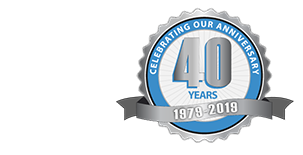 If you need any help with your next garage project, or simply are looking for new ideas, speak with a knowledgeable member of the Blue Sky Builders team today. Visit us online, or call 630-852-8485 to learn more about the services we provide.